First step, always, is to check the care instructions for the brand and type of carrier you have before you attempt to wash it! I have talked more about this in my last post, but essentially it’s a safe guard measure against any issues that you may encounter as it should ensure your warranty if it is new, and really, if you follow the directions from the manufacturer you shouldn’t face any issues in the first place and these products are designed to be used with babies, often spilly, pooey, dirty, messy babies so don’t be afraid to get them dirty! The most commonly being Soft Structured Carriers, the ones with clips and buckles, which makes sense really… They involve the most intricate process of all the carriers I wash in my library and of most of the options, are probably where the most issues arise in the washing process..
Straps all tightened, buckles secured. Woven wraps and conversions of them love being washed generally, in fact, they should be washed before you use them if you are buying them new particularly, as most arrive in “loom state” and need an initial wash prior to use to help the weave settle.. I have posted more about this in a blog post; taming the beast here and will touch on how I wash other kinds of carriers further down this post. 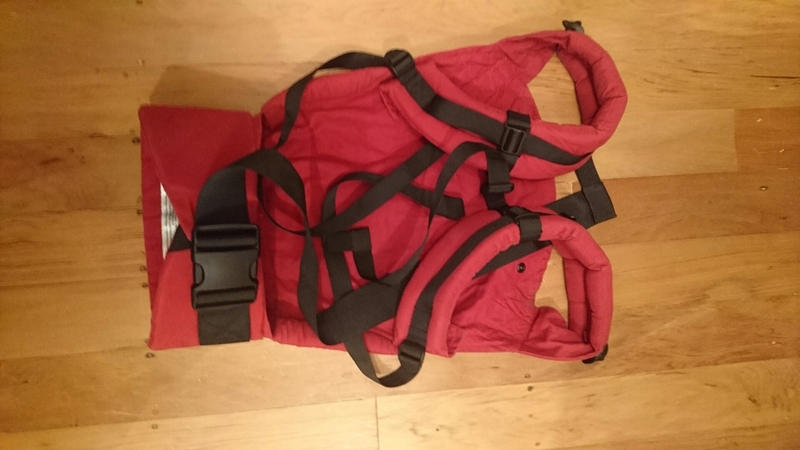 But firstly considering soft structured carriers, again the recommendations for different brands differ, regardless of these differences though, my first step as general practise for washing all SSCs is to clip up any buckles and tighten the straps as tight as possible. 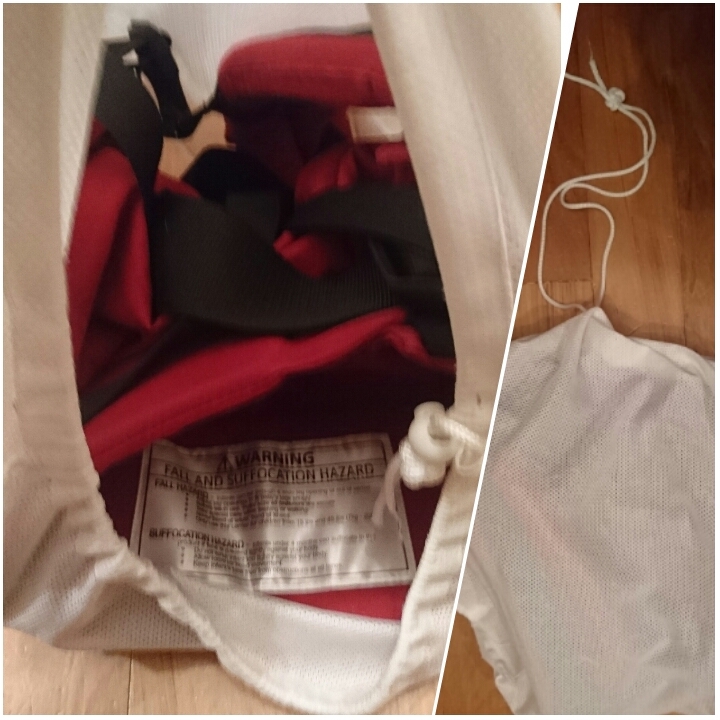 I then stick it in a pillow case and tie up the end with a hair tie or use this extra big laundry bag which fits most carriers and backpacks for that matter, pretty well. 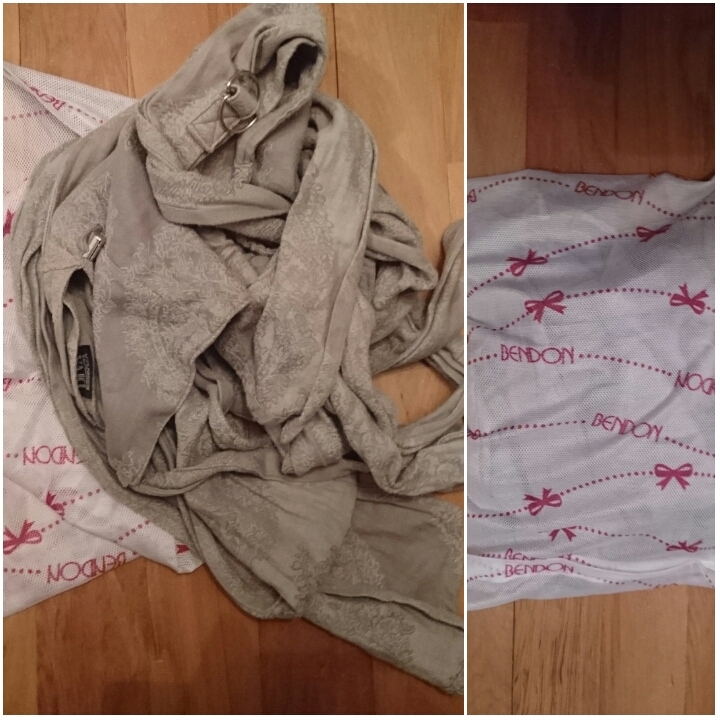 You can launder your Ergobaby carrier using a mild detergent on a gentle cycle with cold water. You can use the dryer for about 20 minutes. It will still be damp. Hang out to dry for the duration of the drying time. Yes Tula’s are machine washable. However, we encourage regular maintenance by using a soft cloth, soap and warm water. For machine washes, use cold water with mild detergent. Dry in the open air. (Do not machine wash too often). 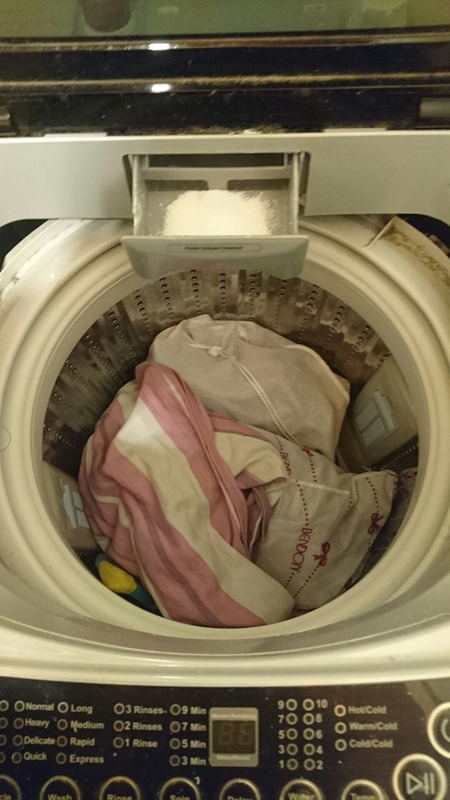 Machine wash with mild detergent on gentle cycle. No bleach or tumble dry. 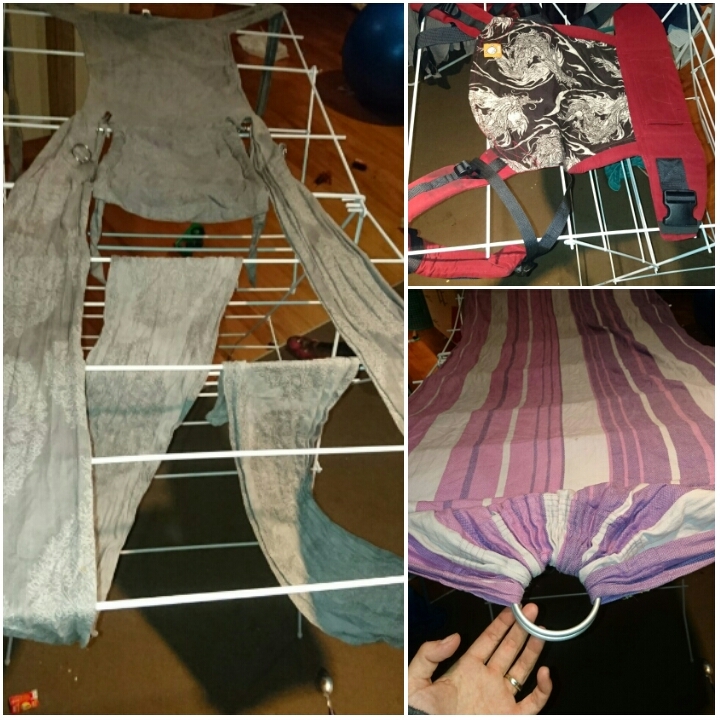 With Mei Tai’s, I take the same laundry bag approach to prevent straps being caught or excessively tangled (we have a top loader without a central agitator so tangled comes with the territory). And like all carriers, wraps and slings I personally wash, I lay them flat over a drying rack to dry, out of direct sunlight. 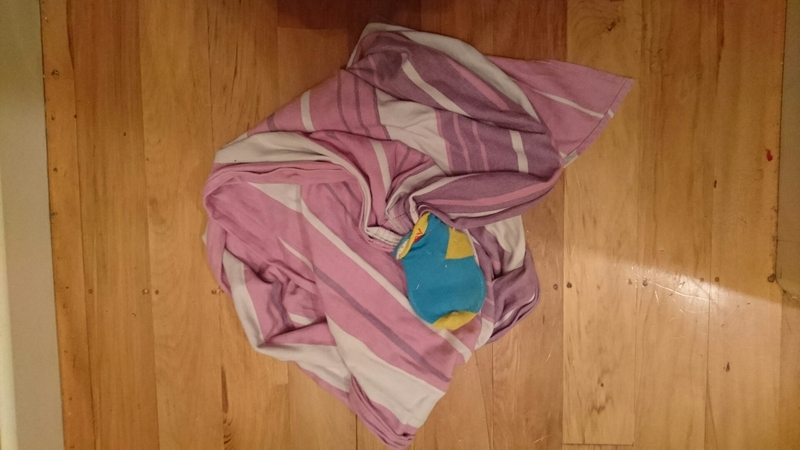 Washing a ring sling, I simply put a sock over the rings and tie it off and then wash it alone on a delicates cycle. Same for wovens, depending on the blend of the weave, will sometimes alter the temperature at which I wash it but often little else. Always using a powder I am sure doesn’t contain optical brighteners or softening enzymes, always dried as flat as possible, out of the sun and if any straps at all, I stick it in a laundry bag or cover the rings with a sock as the case maybe..
Eco friendly washing powder loaded, Little Frog Ring Sling with a sock on the rings, Diva Essenza Mei Tai in a laundry bag and Tula buckled and straps tighten in a laundry bag, on a cold delicates wash. The Rockin Green giveaway on my Facebook page will be drawn on the weekend so make sure you have commented on the post to be in the draw! Categories: Babywearing Solutions, Off Topic | Tags: care, wash, washing | Permalink.